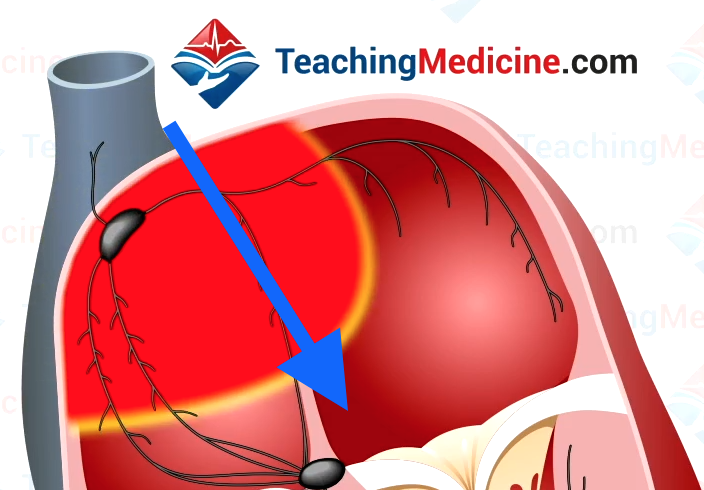 Right atrial enlargement is abbreviated RAE. Leads II and V1 show the P waves the best. We will focus on these leads. As a result, the P wave in lead II is taller. A P wave that is > 2.5 mm in lead II is diagnostic of RAE. These P waves are taller than 2.5 mm. 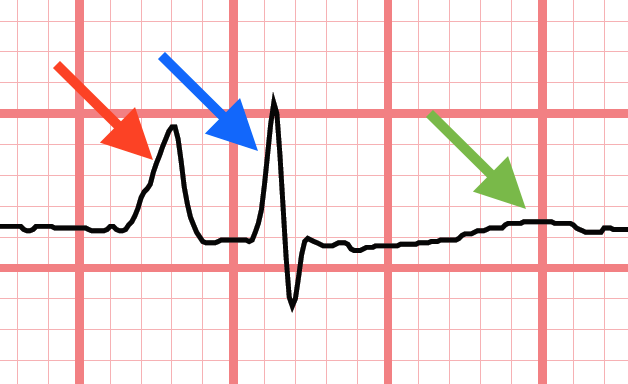 Red arrow = P wave, blue arrow = QRS, green arrow = T wave. 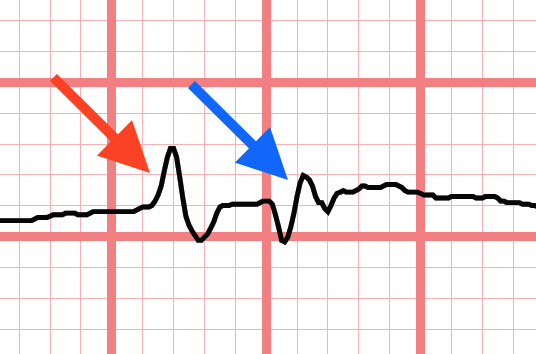 The P wave shape is often pointy. This is another finding of RAE. 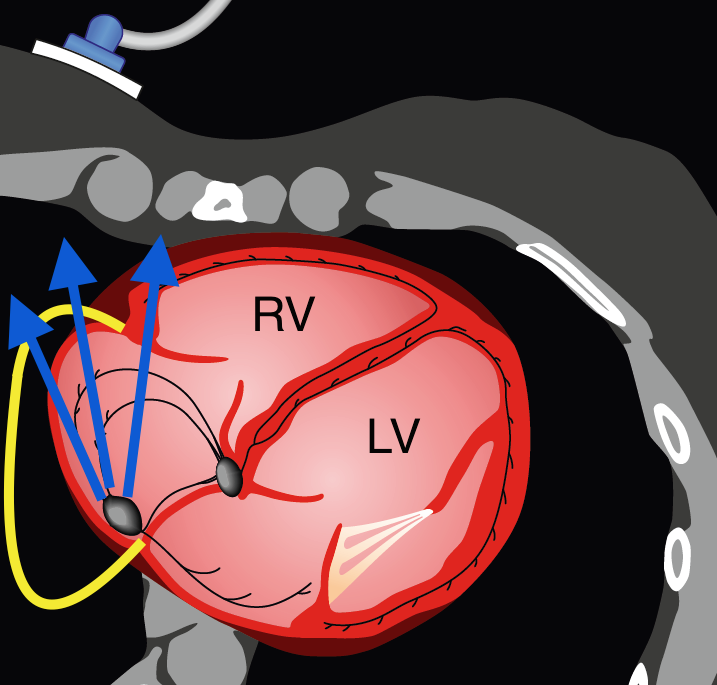 The enlarged RA will also create a stronger electrical signal toward V1 as seen in the diagram. This will result in a taller P wave in V1, but only for the first half of the P wave. A P wave that is 1.5 mm tall in V1 is suggestive of RAE. 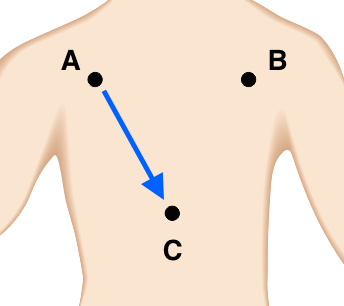 This finding however, is not required to make the diagnosis. If the RA gets really big, it can grow toward the left. (see diagram below). If it does this, then the final part RA depolarization will be away from V1 and cause an inverted waveform. 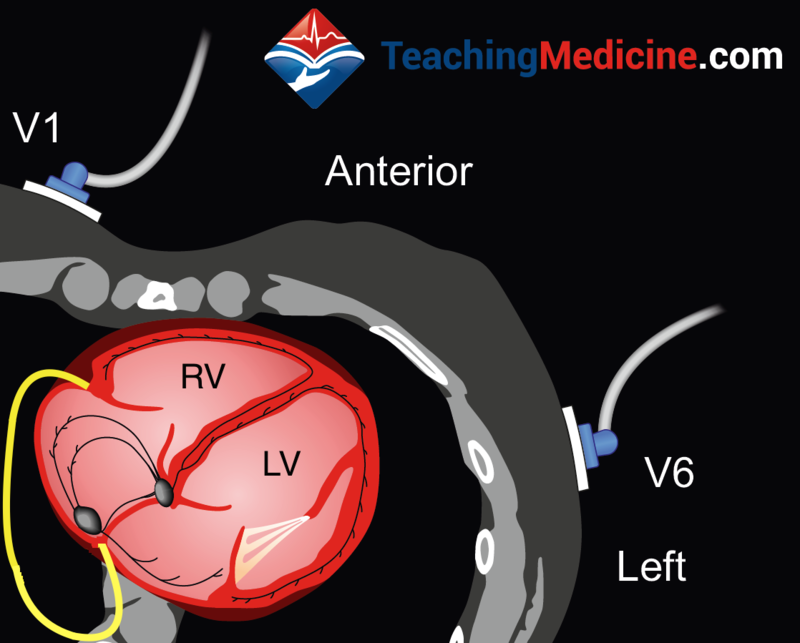 This is similar to LEFT atrial enlargement, but it does not mean the LA is enlarged. 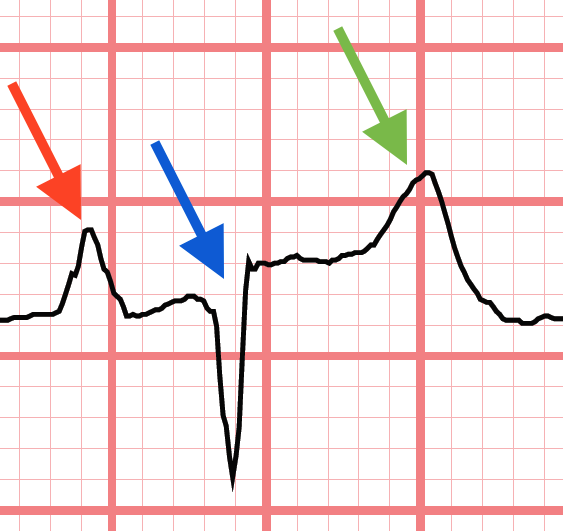 In contrast to LEFT atrial enlargment, the P wave duration is normal (< 120 ms or 3 little squares) with RAE. Check the ECG above to see that even though there is a biphasic P wave in V1 (suggesting LAE), the P wave width is < 120 ms.
Of course, you can have RAE and LAE at the same time, so a wide P wave does not rule out RAE.